For many months now I have been following the campaign for the 148th District of the Texas Legislature pitting two distinctly different candidates against one another. The race features a liberal incumbant Democrat Jessica Farrar against a strong Conservative, first-time candidate, Fernando Herrera. Months of hard work are coming down to the wire, but with victory within grasp Herrera is facing the ugly challenge of voter fraud. 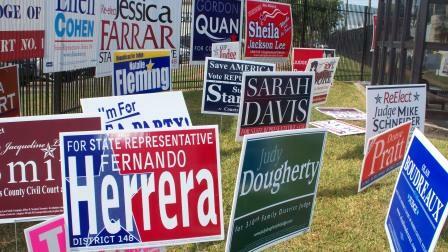 Long considered a "safe Democrat seat", not many across the lone star state gave Herrera a snowballs chance of winning. A seat so safe, the incumbent wasn't even planning on running a re-election campaign, opting instead to attend law school this semister. My but how things can change. Fortunately, for the people of the 148th, Herrera and his team did not listen. A perfect storm of political events have come to pass in District 148 that have brought this "safe seat" race down to a photo finish better for this upstart Republican. 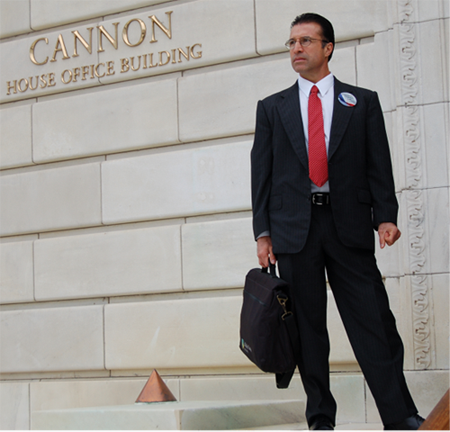 If you get out and do your part now, as a Conservative voter, Herrera will win. Fernando Herrera was born to run this race. Raised in the district, he grew up knowing the family values that are important to the voters. He went to school with many people who are still residents and voters, many who own businesses in the district and who have seen Herrera grow and achive success, all the while continuing to live in this district. His personal pro-life, pro-family, smaller government values match up with the people of the district BECAUSE he is one of them. He is comfortable walking (or rollerblading) the streets where "no Republican has gone before" because he has been walking them all his life. And since becoming a Houston Fire Fighter he has been serving these very friends and neighbors for decades. The 148th rises with the sun on the east side of downtown Houston, stretches through the Heights and follows the sun westward through the northern part of Spring Branch. While the voting history of the district does not favor a successful Republican Race, the district really does. The people of the district are very conservative. They belive in Life. They want a less intrusive government who will quit taxing stuggling families to death. They want to be secure in their homes. They want a better life for their children's future. And they have seen the deterioration that has occured under decades of Democrat leadership and mismanagement. What this race has shown is that many of the residents did not really know who Jessica Farrar was. They didn't know she holds the most liberal voting record in the Texas House. 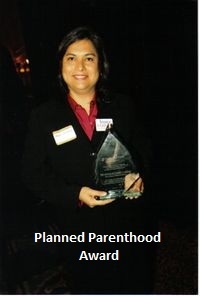 They didn't know about the awards she proudly accepts from Planned Parenthood and the Lilith Foundation. They didn't know about her infanticide proposal to reduce the penalty for a mother killing her baby during the first year from a captial offense to a state jail felony (6 months in jail). They didn't know she was the only one out of 100 reps who voted against making the killing of a pregnant woman a crime against both the mother and the baby. They didn't konw about her opposition to the Castle Doctrine bill which protects people who use deadly force to protect themselves in their home, office or vehicle. They just didn't know Jessica Farrar. The did not understand that Farrar was so out of touch with their values. That has changed. Yes, this is the year. The American people are fed up with the over-reaching, over-taxing, over-bearing government that Jessica Farrar is the poster child example of. Democrats are being swept out of the most unusual of places. Voters are paying attention to what their representatives are doing (or not doing). People are rediscovering their Conservative roots and learning that the Conservative candidates offer better solutions for the problems they want solved. The Candidate, The District and the Election Year have all come together in a perfect political storm to make Fernando Herrera the perfect candidate to pull off the perfect upset. And what an upset it will be. Defeating a solid liberal Democrat and replacing her with a solid Conservative Republican. Perfect indeed. What is needed now? - YOU! Voters have been streaming to the polls. Despite being vastly outnumbered by Farrar's paid card pushers, Herrera and his team of volunteer political first-responders are manning the polling locations daily. He is talking to voters one last time, reminding them that he has been there working for them all year preparing for this moment. He and his team have knocked on every door in the district and the results are showing by the reactions of the people walking into the polling locations. Voters are turning out in record numbers for early voting for a gubernatorial election cycle, but problems are being observed at the polls. Political tricks will always try to cheat hard work. Herrera still needs you! If you haven't voted yet, get out and vote today! If not today, then swarm the polls on Tuesday. 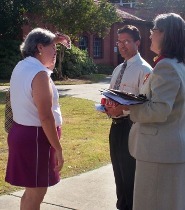 There have been lots of reports of Democrat cheating at Moody Park and Ripley House. Polling workers have been observed instructing voters against their wishes, going far beyond the bounds of "voter assistance". Don't let the Democrats steal this hard earned victory. Take no excuse for not voting. Get to the polls and get your friends to the polls. Create a swarm of voting energy to sweep Herrera across the finish line. Don't let it be by a nose, make it a full length victory for Fernando Herrera!